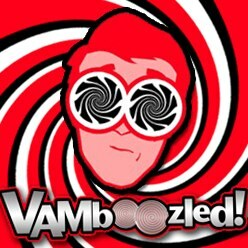 What ESSA Means for Teacher Evaluation and VAMs | VAMboozled! Within a prior post, I wrote in some detail about what the Every Student Succeeds Act (ESSA) means for the U.S., as well as states’ teacher evaluation systems as per the federally mandated adoption and use of growth and value-added models (VAMs) across the U.S., after President Obama signed it into law in December. Diane Ravitch recently covered, in her own words, what ESSA means for teacher evaluations systems as well, in what she called Part II of a nine Part series on all key sections of ESSA (see Parts I-IX here). I thought Part II was important to share with you all, especially given this particular post captures that in which followers of this blog are most interested, although I do recommend that you all also see what the ESSA means for other areas of educational progress and reform in terms of the Common Core, teacher education, charter schools, etc. in her Parts I-IX. The stakes attached to testing: will teachers be evaluated by test scores, as Duncan demanded and as the American Statistical Association rejected? Will teachers be fired because of ratings based on test scores? The federal mandate on teacher evaluation linked to test scores, as created in the waivers, is eliminated in ESSA. States are allowed to use federal funds to continue these programs, if they choose, or completely change their strategy, but they will no longer be required to include these policies as a condition of receiving federal funds. In fact, the Secretary is explicitly prohibited from mandating any aspect of a teacher evaluation system, or mandating a state conduct the evaluation altogether, in section 1111(e)(1)(B)(iii)(IX) and (X), section 2101(e), and section 8401(d)(3) of the new law. Chairman Alexander has been a long advocate of the concept, as he calls it, of “paying teachers more for teaching well.” As governor of Tennessee he created the first teacher evaluation system in the nation, and believes to this day that the “Holy Grail” of education reform is finding fair ways to pay teachers more for teaching well. But he opposed the idea of creating or continuing a federal mandate and requiring states to follow a Washington-based model of how to establish these types of systems. Teacher evaluation is complicated work and the last thing local school districts and states need is to send their evaluation system to Washington, D.C., to see if a bureaucrat in Washington thinks they got it right. ESSA ends the waiver requirements on August 2016 so states or districts that choose to end their teacher evaluation system may. Otherwise, states can make changes to their teacher evaluation systems, or start over and start a new system. The decision is left to states and school districts to work out. The law does continue a separate, competitive funding program, the Teacher and School Leader Incentive Fund, to allow states, school districts, or non-profits or for-profits in partnership with a state or school district to apply for competitive grants to implement teacher evaluation systems to see if the country can learn more about effective and fair ways of linking student performance to teacher performance. This entry was posted in General and tagged Consumer Alert!, Diane Ravitch, History, States, US Dept of Education by Audrey Amrein-Beardsley. Bookmark the permalink.